Social media and tourism marketing go hand in hand. Taking on social media can be challenging, especially with limited time and budget. In this series, I’ll explore best practices for destinations and attractions across different channels. 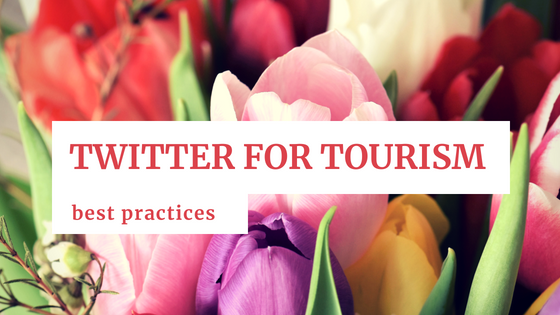 In this blog, we’ll explore Twitter for tourism. Mark Twain once said, “The reports of Twitter’s death have been greatly exaggerated.” As of January 2018, there were 100 million daily active users on the platform, 500 million tweets sent per day, and 330 million active monthly users. Despite what rumors may be floating around, this isn’t a platform the tourism industry should write off. Building Twitter into your tourism marketing strategy is still important. With more than 500 million tweets sent per day, the half-life of a tweet is short- very short. In 2016, the average was 18 minutes, and there are no indications that it has gone up. This works in your favor, allowing you to send out as many tweets per day as you want. Unlike Facebook or Instagram, many tweets are seen chronologically, so you’ll want to post multiple times per day to ensure the most eyes possible on your tweets. Once per day simply won’t give you the reach you would like. However, the half-life of tweets increases with engagement. Every like or retweet you get is serving your content to a new set of eyes, furthering your reach. This engagement is also important for ranking highly on Twitter’s algorithm. Twitter’s algorithm is different than that of Facebook or Instagram. Whereas other platforms serve up content based partly on your engagement level with past posts and partly on Facebook magic, Twitter scores the tweets from who you follow to determine what’s most relevant or interesting to you. They explain their algorithm far more in-depth than any other platform. The biggest takeaway for brands is that Twitter judges the engagement going both ways. They look at whether people are liking and retweeting you, and also whether you’re replying to people, as well as liking and retweeting others. They will ding pages for not being engaging enough with their audiences. For the tourism and hospitality industry, this means posting multiple times a day and setting aside time for engaging and interacting with your audience to ensure your audience keeps seeing your content. Important to note: While you can turn off the algorithm for yourself (which is unusual for any social media platform), it will still apply to any of your followers who haven’t opted of out it. Of all the social media channels, Twitter is undoubtedly moving the fastest. This allows people to expect a rapid response rate, usually no longer than one business day at the max. Between this and the character limit, Twitter has a fairly relaxed tone overall. Brands have to communicate quickly and concisely, freeing them from the shackles of long-winded answers and formal communication. Many companies find their “fun” voice on Twitter and carry that over to their other channels. This also presents a great opportunity to share your resources. People commonly message or tweet at pages to find out more information about a destination. Things like accommodations, activities, and locations where specific photos were taken. People like easy access to information and quick answers, and that’s exactly what Twitter was built for. Hashtags categorize and index your tweets, making them easily searchable to people who are looking for you, or what you’re offering. It’s estimated that around 11% of all tweets use hashtags, but it can be as much as 30% depending on who you’re following. Hashtagging the name of travel destinations is a fairly common practice across channels, and helpful to people who are researching your destination or attraction. Don’t get too #happy though, too many hashtags can be disruptive to the eye and turn people away. #Who #wants #to #read #a #sentence #like #this? Pick your hashtags strategically by volume and what matters most to you. If one of your biggest draws is an ice cream trail (that’s a real thing! ), think about whether you would rather rank for #icecream or #icecreamtrail. The first is exponentially more common, but that also means more competition. There is no one right answer- it’s really up to you. Visual content is incredibly important, and Twitter is no exception. Using photos and videos can also help you rank higher on Twitter’s algorithm. Even something as simple as an image preview to a link can help, and the more people engage with that content, the more of it they will see. Linking Instagram to Facebook is easy, since they’re owned by the same company, and it’s a great way to create more content. However, Twitter is not the same. Linking Instagram to Twitter creates a link to the Instagram post with no preview. It also cuts off part of the caption if it exceeds the character limit. Whether or not you avoid this depends on your audience. 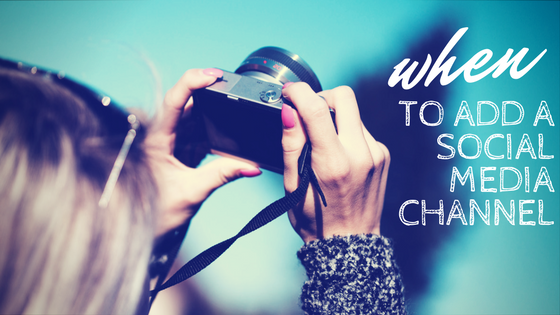 If your audience isn’t engaging with tweets produced by Instagram, try posting the photo separately on Twitter. Unlike other platforms, Twitter makes you opt-in to receive analytics for your channel. Their analytics are concise, easy to read and understand. I highly recommend enabling analytics- just know it’s an extra step you have to take.